Before signing this free independent contractor agreement, it is important to confirm the status of a worker, i.e. independent contractor or employee. 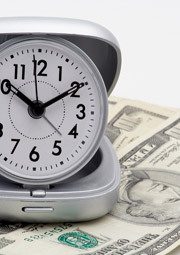 On the method of payment, you have to decide on whether to pay for time (hourly/daily etc. ), for a completed section of work or a monthly retainer with or without reimbursement of expenses. The sample independent contractor agreement here makes provision for all - simply delete the ones which are not applicable. You should also familiarize yourself with the "work-for-hire" principle where we discuss the rights of both employer and contractor. An independent contractor may typically perform the same type of work for various companies. Our agreement template will therefore not have a restraint of trade clause, but will demand confidentiality and ownership of work performed under the agreement. Important Note: Visit our main Independent Contractor page for links to guidelines and more free legal forms. AND EXPIRES when the services as outlined in this agreement have been completed. It is expressly understood and accepted that this is not an employment agreement and as such the Contractor will have no claim to Company benefits or employee considerations, including but not limited to profit sharing, pension, shares or bonuses. Upon expiry of this contract it is understood that that the relationship between the parties has ended. 2.2. The Contractor warrants that he / she is not violating any other agreement by performing these services. 2.5. The Contractor guarantees that he / she is competent to carry out the services which he / she has undertaken in this contract. Any material misrepresentation shall lead to summary termination of this agreement. 3.1. Upon completion of the services as specified in 2. above, the Company will pay the Contractor the sum of _______________________________($______). 3.2. The Company agrees to pay the Contractor within ______ days of completion of the services in full OR in ______________ equal monthly installments of ______________________________($______), starting within ______________days of completion of the services. 3.1. For performing of the services as specified in 2. above, the Company agrees to pay the Contractor the sum of ___________________________($______) per hour / day / month. 3.2. The Company agrees to pay the Contractor within ________days of receipt of a timesheet declaring the total time worked, together with the Contractor's invoice. 3.3. The Contractor agrees that should he / she withhold their services for whatever reason, a principle of "no work, no pay" shall apply. 3.1. The Company agrees to pay the Contractor for performing the services as in 2. above the sum of __________________________($_______) as a retainer upon signing of this agreement. 3.2. The retainer as specified in 3.1. is a once-off payment. 3.2. The Company will pay the Contractor an additional monthly retainer of __________________________($_______) on the first day of each month until the termination of this agreement. 3.3. In addition to the retainer as in 3.2. the Company will reimburse the Contractor expenses incurred by the Contractor on behalf of the Company provided a detailed statement with applicable receipts is presented to the Company. 3.4. The Company agrees to pay the Contractor expenses claimed as per 3.3. within ________days of receipt of the expenses statement. 4.1. Should the Contractor employ assistants to perform the services as in 2., all provisions in this agreement including but not limited to confidentiality, ownership of works and indemnification shall be binding upon all assistants of the Contractor. 4.2. Remuneration for assistants to the Contractor to perform the services under this agreement must be paid by the Contractor. 4.3. The Company agrees that all directives or instructions to assistants will be communicated through the Contractor. 5.1. The Contractor acknowledges that during the relationship with the Company, the Contractor may become familiar with its confidential information including commercial and technical secrets and / or the confidential information of clients of the Company. 5.2. The Contractor consequently agrees that during the period of performing services and subsequent thereto, the Contractor will not disclose to others or make use of directly or indirectly, any confidential information of the Company or confidential information of a client of the Company or of others who have disclosed it to the Company under conditions of confidentiality, unless for a purpose authorized by the Company. 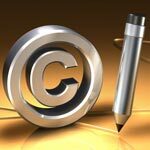 If there is any doubt about whether any disclosure or use is for an authorized purpose, the Contractor is to obtain a ruling in writing from the Company and is to abide by it. 5.3. The Contractor shall take reasonable security precautions to keep confidential all information deemed confidential and shall not make unauthorized copies. He / she further undertakes to notify the Company immediately upon discovery of any unauthorized use or disclosure of confidential material and shall assist the Company in regaining of such material and mitigating the loss to the Company there from. 5.4. For the purpose of this clause, confidential information will be deemed to extend to all confidential technical and commercial information, including, but not limited to the contents of reports, specifications, quotations, formulae, computer records, client lists, price schedules, customer lists, customers and the like. 5.5. The Contractor is required to deliver to the Company whenever required to do so, or in any event when terminating the relationship with the Company, all books of account, records, correspondence, notes, computer disks, and the like concerning or containing any reference to the business of the Company or the Company's clients. 6.1. Any documents or records or creations including but not limited to written instructions, drawings, photographs, computer programs, notes or memoranda relating to the business of the Company, which are made by the Contractor or which come into the Contractor's possession while he / she is engaged by the Company to perform services, shall be deemed the property of the Company and shall be surrendered to the Company on demand and, in any event, on the date of termination of this agreement The Contractor will not retain any copies thereof or any extracts there from. 6.2. The Contractor does hereby assign to the Company the total right, title and interest in and to any copyright in any existing or future works or part thereof of whatsoever nature that the Contractor, individually or jointly with any other person(s) has made or created or will make or will create during the course and scope of this agreement and the performing of services by the Contractor for the Company. 7.1. The Contractor agrees to take full responsibility for declaration of income for tax purposes and for the payment thereof. 7.2. The Contractor will not be liable to the Company or its agents or employees for any claim, cost or fees arising from the services provided by this agreement, unless any such claims, costs or fees are judged by the appropriate court to be due to willful misconduct or gross negligence on the part of the Contractor or his agents. 7.3. The Contractor shall supply all equipment or tools or instruments needed to perform the services under this agreement. 8.1. The Company acknowledges that timely completion of the services provided by the Contractor under this agreement, depends on the co-operation of the Company to comply with reasonable requests from the Contractor and the Company agrees to extend such co-operation. 8.2. Upon the death of a Contractor whilst under the terms of this agreement, the Company shall pay all monies due to the estate of the Contractor. 9.1.1. If either party is convicted of a criminal offence. 9.1.2. Non-payment to the Contractor by the Company as agreed upon in this agreement and failure to remedy within 30 days from the date payment is due. 9.1.3. Failure by the Contractor to meet deadlines for performance of services or failing to meet the standards required by the Company in the performing of services. 9.1.4. Insolvency or bankruptcy of either party. 9.1.5. Change of ownership of the business of either party. 10.3.3. Signed by both parties. 10.7. Unless inconsistent with the context, words signifying any one gender shall include the others, words signifying the singular shall include the plural and vice versa and words signifying natural persons shall include artificial persons and vice versa. 10.9. The parties agree that any dispute which may arise from this agreement will be referred to an impartial and lawful arbitration body whose decision will be binding upon both parties. By signing below, the Contractor certifies under the penalty of perjury that the name and address given is the Contractor's legal name, address and identification number. This free independent contractor agreement can protect your business whilst fulfilling the needs of your fluctuating workload.